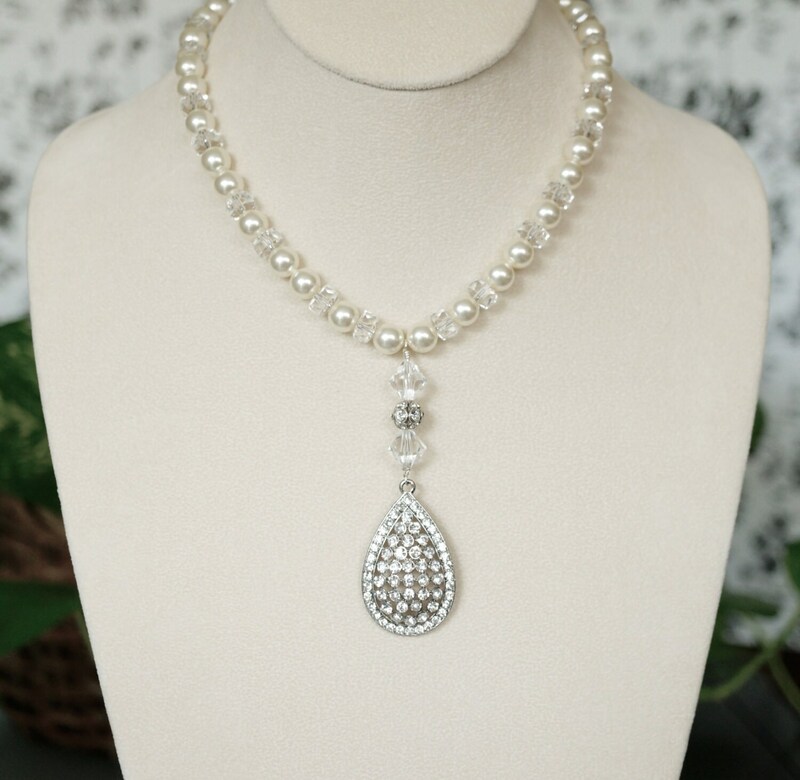 Here you have this splendid bridal statement necklace.The pendant is made with a repurposed rhinestone earring part, and embellished with a German Swarovski encrusted filigree bead, and Swarovski crystal bicones. 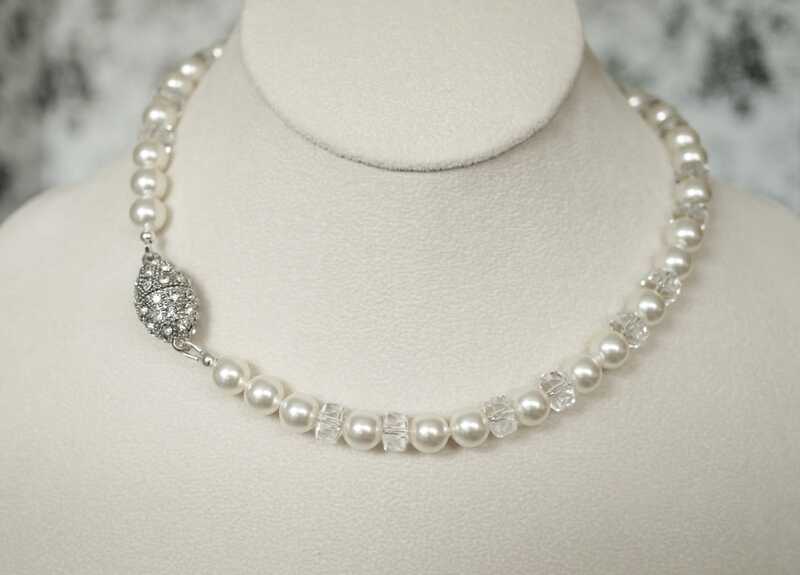 The necklace part is made of Swarovski cream pearls and Swarovski crystal briolettes. 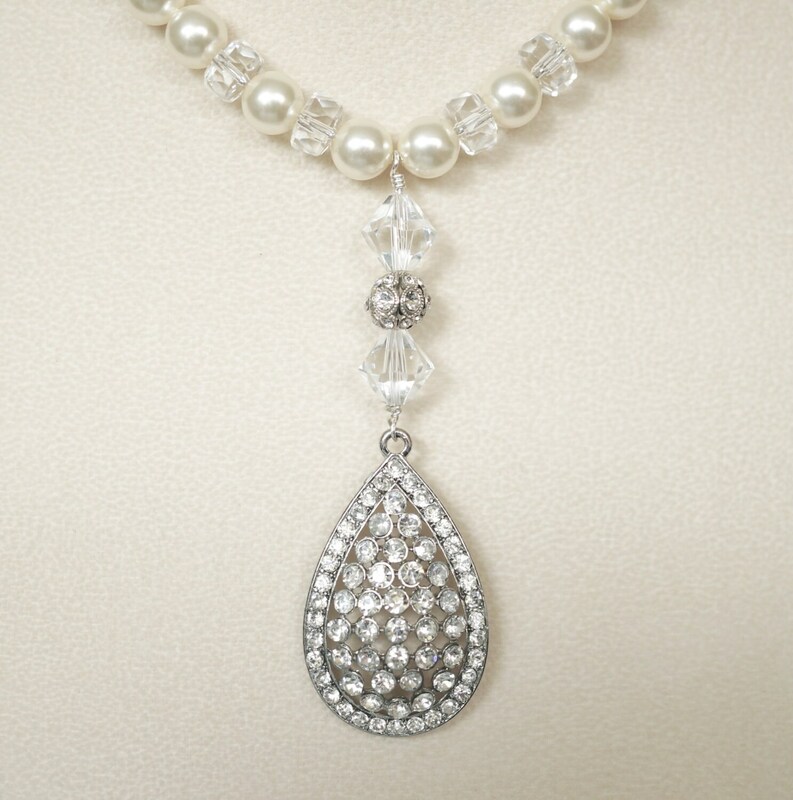 It all comes together with an oval rhinestone magnetic clasp. The pendant alone measures 3 inches long. The whole necklace is 16.5 inches long.